Simon d’Orsogna is a psychotherapist and process consultant based in Melbourne, Australia, working with individuals and organisational clients. 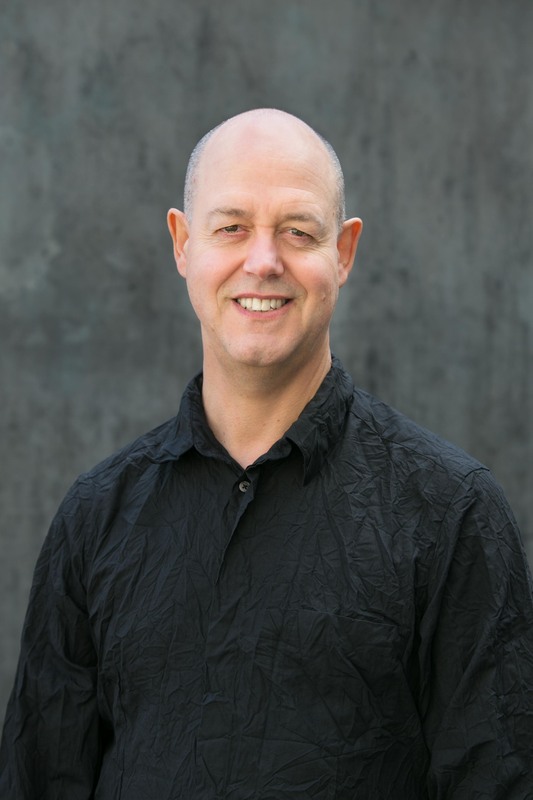 As an associate instructor with the Coherence Psychology Institute he facilitates and runs workshops across Australia. He has recently completed a Clinical Master’s in Systemic Family Therapy, which fits well with his earlier systemic approaches working with organisations, and meets some notion he has that most of our therapies are partial and insufficiently complex to meet the world. He has interests and training in a range of approaches and ideas — systems psychodynamic, group work, adult developmental, trauma and attachment-informed, multiplicity of selves (ego–state or parts), work with transgenerational burdens and injuries, and more. All these contribute to his meeting the person where they are . . . accompanying the person as they “discover again” and gain confidence in their own inner world with all its logic and uncanny homeliness. NPT: Simon can you tell us a little about the theories and philosophies that have most impacted your work? Sd’O: I’ve found coherence therapy is a meta-therapy that I can apply continually to make sense of what’s happening in the room and relationally with the client. It gives me a useful haiku-like framework of “discovery– integration–juxtaposition”, a skeleton that’s workable with a variety of therapeutic approaches. There is this central idea that some “thing” outside of awareness, some schema or inchoate knowing, passionately compels the person to behave or feel or “believe–think” in this way they can’t get loose of, where they somehow feel subject to, rather than it being an object to them. Working with what protects . . . assuming sense-making . . . slowly gaining the trust and confidence of the person’s “inner world as a system” is what I see as the necessary conditions for healing and growth, elaborating one’s self-complexity along a continuum of development. Sometimes slowly . . . sometimes very fast. I studied with Harvard Professors Bob Kegan and Lisa Lahey using constructivist and adult developmental lenses around meaning and sense-making ideas for adults, extending Piaget’s ideas to say that adults also have patterned ways of making sense similar to our more familiar ideas of children’s ages and stages. As a way of identifying and elaborating those stages of self-organisation and growing self-complexity, they have proposed this core idea as something outside of awareness—a “big assumption” holding someone at a certain place, stuck in the present/past and prevented from moving forward into their own present/future. And they had developed this approach called immunity to change, which is very concrete and immediately applicable. It is particularly useful with male clients who aren’t comfortable with “therapy” as such and provides a deep and focused way to bring what’s cut off back into the light of awareness, making it available again in their life. Working in this way inclined me to work more deeply, and in the light of Kegan’s work I found coherence therapy to be a lovely obverse. It provides a similarly deep framework and some shared assumptions, but even more permeable in regards to the technique. Importantly it also gives hints about fostering those transformational moments in therapy and human growth through recognizing the facilitating steps to create conditions for memory reconsolidation. Alongside all that, I want to mention that Gendlin’s focusing and Richard Schwartz’s internal family system (IFS) model have been useful and highly practical as methods to support and accompany clients. Having learnt from experienced and older therapists in both these approaches in the United States and since, I did get to absorb their style of work—warm, highly relational, pausing, only a little effortful—the kinds of qualities that Steve Porges (polyvagal theory) has, and that Janet Klein (interactive Focusing) and Bonnie Weiss (IFS) share, or from another place I can sense Michael Eigen and Philip Bromberg point right at. Viewing the client’s world as an “ecology of meanings” encircled in virtuous or vicious cycles of recursive experiencing that orient the person and their world towards possibility or stuckness/chaos is sometimes quite helpful too. NPT: What are you working on currently? Sd’O: Right now I’m enjoying that 2016 is finishing. It’s been a big disruptive year for the broader world where, among other things, our transpersonal conservative impulses have reacted to the fluidity of the progressive movement. Dark dreams are being played out nationally and internationally, a volatile moment to be sure. We are at the anniversary of WWI, and I’m wondering if there is a need to more deeply acknowledge that violent rupture before something more is required from us. More concretely I’m also working to develop a web-site focused on experiential psychotherapies to curate materials describing a range of approaches that foster those kinds of disconfirming shifts that evidence the tell-tale signs of memory reconsolidation. It’s incredibly broad! That’s exciting to both Niall Geoghegan and myself working on it. NPT: If there was one thing you would like to impart to a new psychotherapist what would it be? Sd’O: If it has to be short . . . then learn from lots of places then put it all down; let nothing sit between you and the client; if you can, be present to them like the sea that listens softly. Otherwise I’d say a few things. Give yourself permission to do your own work, so go sit where the client is; and learn from as many teachers as you can after learning one agreeable single approach deeply. Also, give the client permission to be more than they ever hoped for. Who are they without their problem? And without their solution? (The therapist’s expectations are a significant indicator of client change, much more so than theoretical orientations.) Give yourself permission to learn about the client’s inner world at the speed of their organism, and then possibly that organism may choose to make use of you. Last, I’d second Bion’s difficult advice to “give up irritable scratching after fact and reason” and proceed as best you can without memory, desire, and understanding. Being directly with the client’s experience—their experiencing of themselves—is what helpfully fosters change, in my opinion. Sometimes not even that helps, of course, but there is a facilitating kindness in being with another in their suffering . . . being with them as it is . . . bearing it with them and temporarily holding it for them, that can’t be under-lit. NPT: In your experience, how has an understanding of neurobiology helped you in your practice? Sd’O: I wish I had a simple cogent understanding of neurobiology, but I fear I’m more a bowerbird of what I find practicable or fascinating. Or, I’m trying to acknowledge the ultra-complex processes of the mind and biology that a linear order fails to reflect. It’s been very helpful getting some idea about the means and import of establishing a “resonant rapport” (an older idea rebadged with some recent discoveries)… call it bio-psychic attunement through mirror neuron effects, or polyvagal rhythmicity and tonal accompaniment, or relational amplification of connection between and within the organism—especially between the dense neural nets of the gut, heart, spine, brain—and the organisms in the room. Trying to make this concrete, I’d say there are always resources in the room when we have a body in the room. If we get the person to land, to simply do a breathing exercise where you can get them to land . . . just to know that getting the client to breathe in through the nose and exhale more slowly through the mouth effectively enforces a down-regulation of the nervous system, push-starting a shift from central nervous system to peripheral nervous system, is incredibly helpful. Humans (mammals) need a base level of perceived safety in order to access their limbic knowings. Once we are in the work, speaking to the client like one might to a horse or small child amplifies the connection with otherwise unconscious self-states. Know the person sitting in front of you is part of a larger system, in a context, operating somehow in patterned ways of relating. We want to emphasise the patterns that are helpful, and towards their own successes and resources . . . those parts of their life where they evaded themselves and the patterned expectations of the past. More of them “wants to be in the room and seeing something shift” than not, otherwise that person would not be there. So point towards that, which is not where the gaze and a sense of self is framed. Usually they are locked into their problem-saturated goggles, so avoiding the sticky trap of problem–solution is critical to me. And use all that happens in the room as material for the steps of the therapeutic reconsolidation framework . . . to learn about the necessity and function of the symptom . . . to align with the reviled need or compelling desire in order to feel the lived experience of “what makes it so necessary?”, and then to discover the mismatching emotional truths. I use a screening tool based on Panksepp’s affective drives, a useful map of neural circuits and integrated cognition–affect–behaviour patterns, to commence the work and gain some idea about what’s over-working, or what system is starved or depleted. It’s a very practical way to make use of his profound insights into mammals and humans. Epigenetics informs why thinking trans-generationally is so valuable; there are burdens and legacies that pass along—loyalties outside of awareness that bind people to unequal distributions of capacity and agency in their own lives in the present. NPT: So what’s ahead in 2017 for Simon d’Orsogna? Sd’O: I’m seeing my clients both organisational and individuals; increasingly seeing couples and families as well. I’m working with a growing group of clients who have obsessions–compulsions using a combination of trauma reprocessing, coherence therapy and IFS. It’s a real pleasure to do the clinical work as well as to be engaged with training. I hope to start writing some shorter pieces drawing together what I see as commonalities and helpful correspondences across a variety of approaches. I will continue to run small supervision and peer-learning groups online in coherence therapy and experiential techniques, which have been popular and allow practitioners to be coached and to expand their skillsets in safe environments. I’m continuing a part-time role as an internal consultant with a large community health service here in Melbourne, supporting the senior managers and responsible for some targeted project work. Training-wise, I’m organising a workshop series in the IFS model at the end of the year and into 2018 I’m bringing the first formal certification with the Centre for Self-Leadership Institute’s training for IFS to Australia, which will take place in two lots of week-long residential workshops. Some Coherence Therapy workshops for the Gambling Foundation coming up too.